Charles R. Saunders - ZineWiki - the history and culture of zines, independent media and the small press. Charles R. Saunders is a Canadian zine editor and writer. With Charles de Lint, Saunders co-published Dragonfields, The title was released in Ottawa, Ontario, Canada, by Triskell Press. Four issues appeared, although not always under that title. The first issue was published in Spring 1978, called Dragonbane, and edited by Charles Saunders. In the autumn of that year issue two followed, edited by de Lint, this time with the title Beyond the Fields We Know. The titles were then merged as Dragonfields for two more issue; issue three, which was released in Summer 1980, and issue four, appearing in Winter 1983. Saunders also published Stardock, a science fiction and fantasy fanzine published on behalf of the Ottawa Science Fiction Society (OSFS). Six issues were released from the Summer of 1977 till Fall 1986. The first few issues were edited by Charles Saunders. The fourth issue was edited by Jeff Cohen, with Kim Kofmel one of the subsequent editors. Charles R. Saunders writing first appeared in Dark Fantasy. This zine, first published by Howard Eugene 'Gene' Day in 1973, is noted for featuring the first publication of the "Imaro" stories of Charles Saunders. The lack of black protagonists and the stereotyped portrayal of black characters in heroic fiction, combined with a love of African culture, history and mythology, inspired Sauders to create the "Imaro" character and stories. Several issues featured these stories, and issue 18 was the "All Imaro Issue". 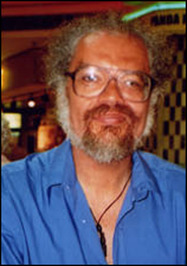 To describe his stories, Charles Saunders created the description "Sword-and-Soul": As defined by Saunders, sword-and-soul is "fantasy fiction with an African connection in either the characters or the setting...or both. The setting can be the historical Africa of the world we know, or the Africa of an alternate world, dimension or universe. But that's not a restriction, because a sword-and-soul story can feature a black character in a non-black setting, or a non-black character in a black setting. Caveat: Tarzan of the Apes need not apply." The Imaro stories were published as a novel by DAW Books in 1981. In 2006, the publishers Night Shade Books released an updated edition of Imaro. His other fantasy titles include The Quest for Cush; Dossouye; and Abengoni: First Calling. As well, he has published four books on African-Nova Scotian history, including Sweat and Soul: The Saga of Black Boxers from the Halifax Forum to Caesar’s Palace; Spirit of Africville, Share & Care: The Story of the Nova Scotia Home for Colored Children; and Black & Bluenose: The Contemporary History of a Community. This page was last modified on 20 April 2019, at 15:30. This page has been accessed 11,449 times.